The United Media Guild has lost one of its best and most prominent members. 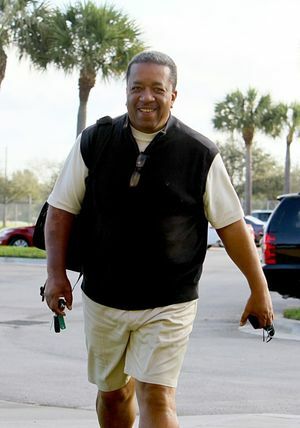 St. Louis Post-Dispatch columnist Bryan Burwell passed away after a short battle with cancer. One story tells you everything you need to know about the kind of co-worker Bryan was at the P-D.
Bryan was one of the most prominent sports journalists of his era. He worked the New York Daily News, the Detroit News and USA Today before coming to the Post-Dispatch. He had a high-profile television career, too, working for HBO and ESPN, among others. He wrote books and hosted radio shows. You can’t get much bigger than Bryan in the media business. The man did it all and then some. A lot of people say that, of course, but with Bryan we knew he was sincere. That is just the kind of person he is. So we called on him. One member of the Lee board is a prominent sports figure. Bryan knew him pretty well. We asked Bryan to track down this man and chat about our contract fight. He gladly took the assignment. This particular board member did not want to engage the conversation — no surprise there! — but this personal contact was just one more piece of a very involved campaign. We eventually settled the contract, keeping important protections that kept Post-Dispatch journalists in a much better place than most of their colleagues. When your most prominent members look out for the others, you have a strong local union. The Post-Dispatch has had a strong tradition of that sort of support. Bryan Burwell was just another huge example of that. But that is just how Bryan was. Despite all of his success, he was about as well-liked as anybody could be in such a treacherous business. He always looked out for colleagues. He always had time for others. The UMG will be forever grateful for his membership.